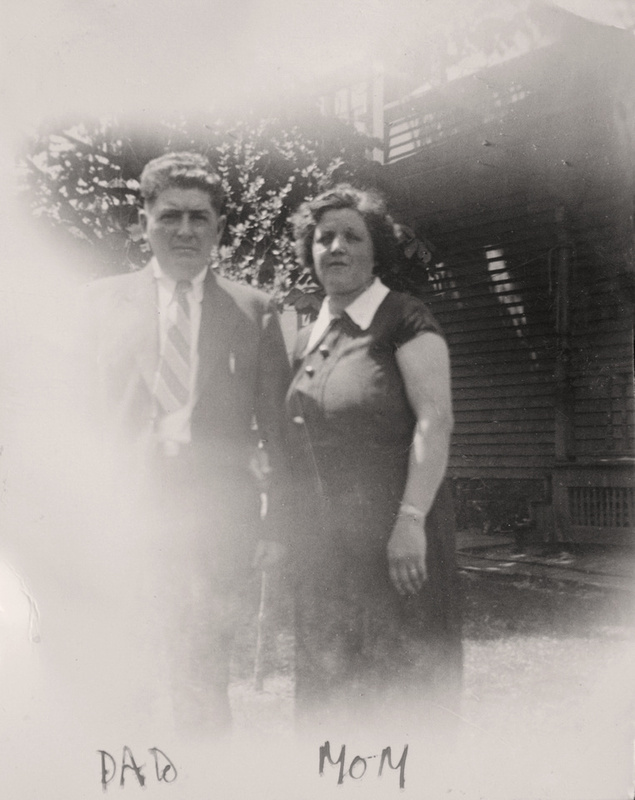 Anthony Harry Murosky Jr. and his wife Helen Tillie Bukowski most likely photographed in 1936. The photograph would have been taken in Erie, Erie County, Pennsylvania. Anthony would have been age 40 when photographed and Helen would have been age 35. From the Helen Tillie Bukowski Collection. It is not known who recorded the names on the photograph. Photographer Unknown. Editing and digital restoration by Michelle M. Murosky.